As much as we love a stunningly-planned, long-term creative campaign, we’re just as fond of setting up a system that delivers mammothly cost-effective big impact for our clients. Which is why, when we took on the Isle of Man tourism work, we quickly realised that there was one man who would be able to serve our needs better than anyone else – one Keirron Tastagh who runs (amongst other things) sea kayaking courses. This week, our man once again came good. 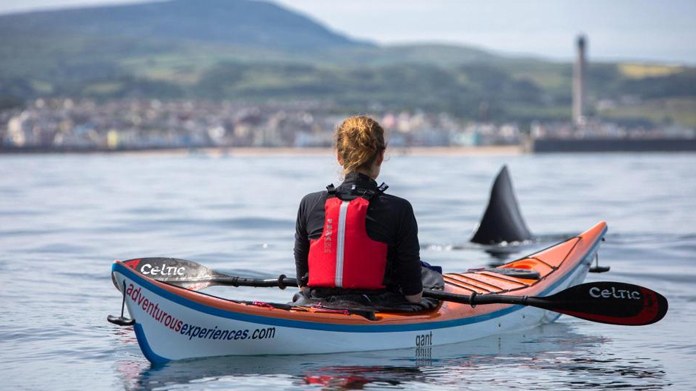 While out on the seas around the island, Keirron and his team captured some outstanding shots of one of the Isle of Man’s most impressive visitors – a host of Basking Sharks that go to the area to feed on their favoured diet of plankton. With a super-swift turnaround, we nailed coverage across The Sun, Daily Star, Evening Standard, Daily Express and The Guardian.